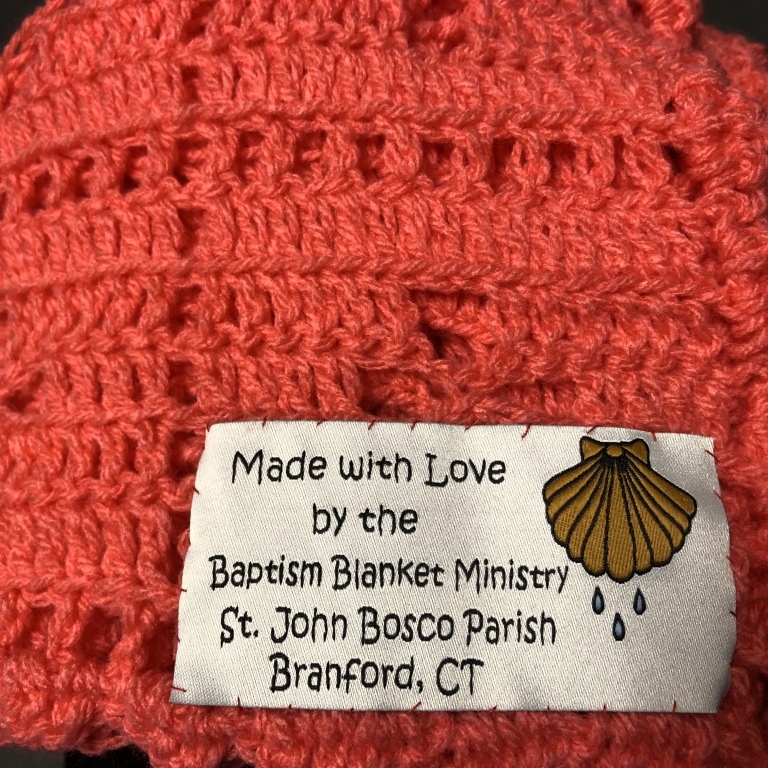 The Baptism Blanket Ministry meets on the second Monday of the month at 11:00 a.m. in the St. Mary Parish Center to knit baby blankets for babies being baptized here at Saint John Bosco. They also provide afghans for mothers and their children who are residents at the St. Gianna Center in New Haven, make shawls for hospital patients, and knit warm hats for the needy. For more information please contact Jeannine at 203-481-5990. Donations of baby yarn are always welcome, but please no wool!